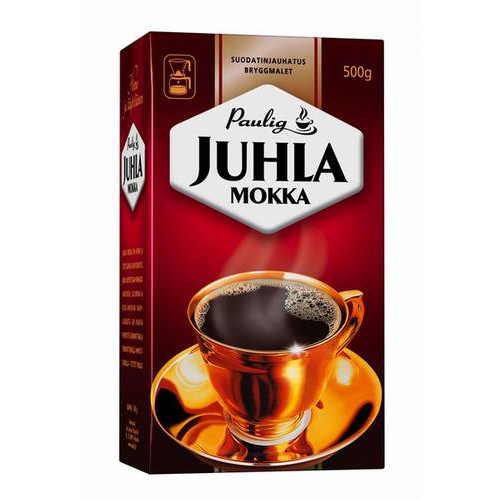 More about Paulig Juhla Mokka Coffee - Light Roast Providing Finnish customers with delicious coffee since 1929, Paulig Juhla Mokka Coffee is carefully and professionally blended from South American Colombia and Santos beans together with Central American and African coffee qualities, Juhla Mokka is light roasted in the traditional Finnish way. I don't drink coffee myself but this coffee is a must for my guests, never a bad cup. This is expensive coffee, as it is not a large bag, but boy is it worth it. I use it with a Keurig machine, and it is best on the second button setting. Anything more, and it gets watered down and destroys the taste. I use this as my 'treat' coffee and plan on purchasing more. This is the best coffee, in my opinion. I've repeat-bought this coffee from FinnStyle and will continue as long as you carry it. I'm 79 years old, a Finn myself and remember how good my grandmother's coffee was in Ohio. This is an excellent choice for those who like a lighter roast. 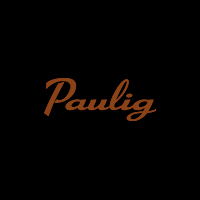 It is the perfect grind for drip coffee makers. ProsLight mild coffee, not too bitter. Gave this to my barrista friend who knows her coffee. Pricey, but a great treat. Best tasting coffee I have ever had. The flavor s just out of this world. It beats Panara and Starbucks! 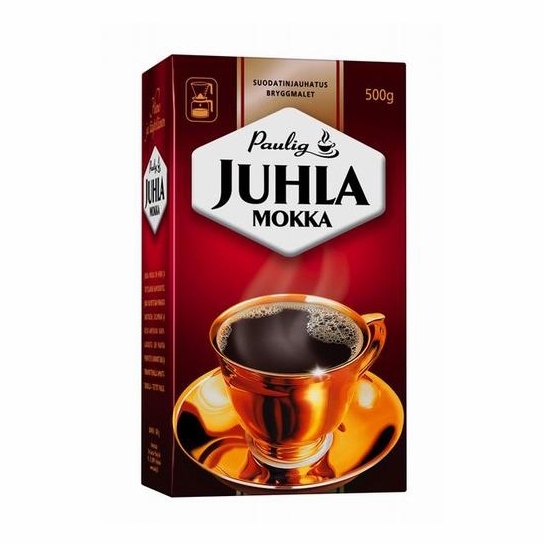 Juhla Mokka is the smoothest most comforting coffee in the world.